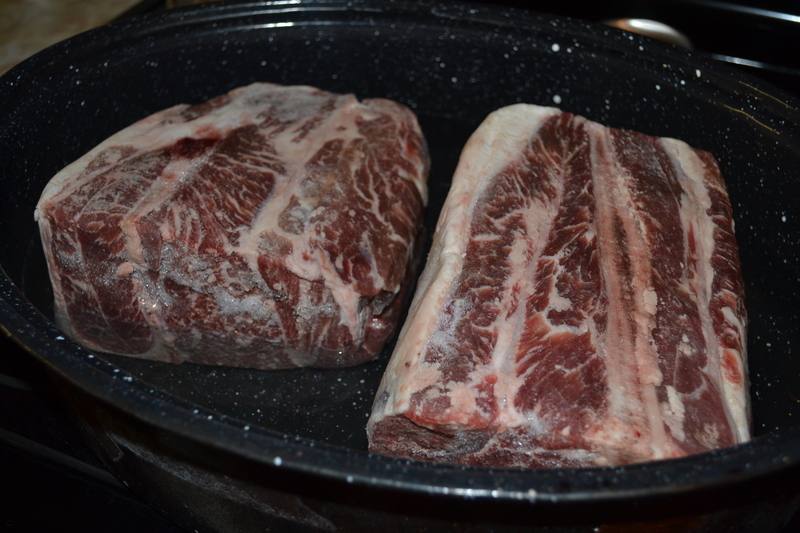 I recently learned about a blogging initiative called Hunk of Meat Mondays. This was started as a way to find more recipes with meat in them. We raise cattle on our farm and therefore always have a supply of beef in the freezer. So this week I’ve decided to participate in Hunk of Meat Monday by featuring a few beef recipes. I featured this Barbecued Beef recipe on my blog back in May but didn’t have photos for it so I’ve decided to include it again. 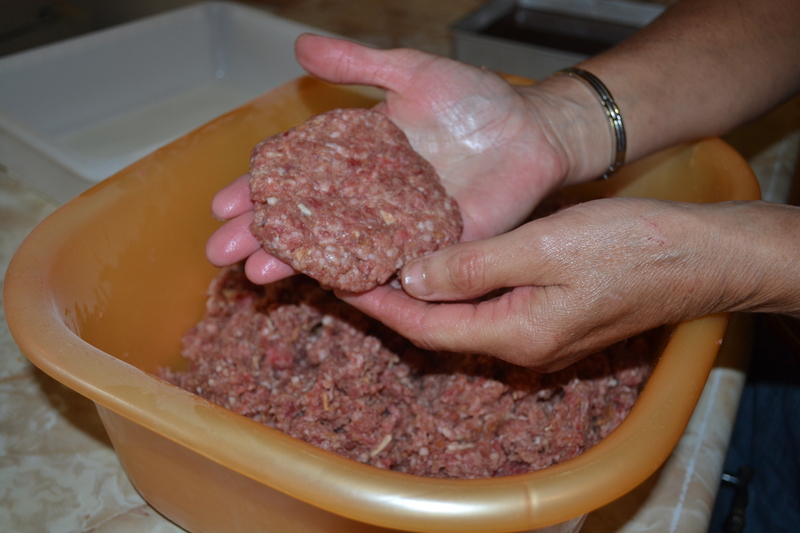 I’ve also included a basic hamburger recipe which my mom and I use to make into both hamburger patties and meatballs. These hamburgers are known as “Ern burgers” in my family (named after my mom Erna). 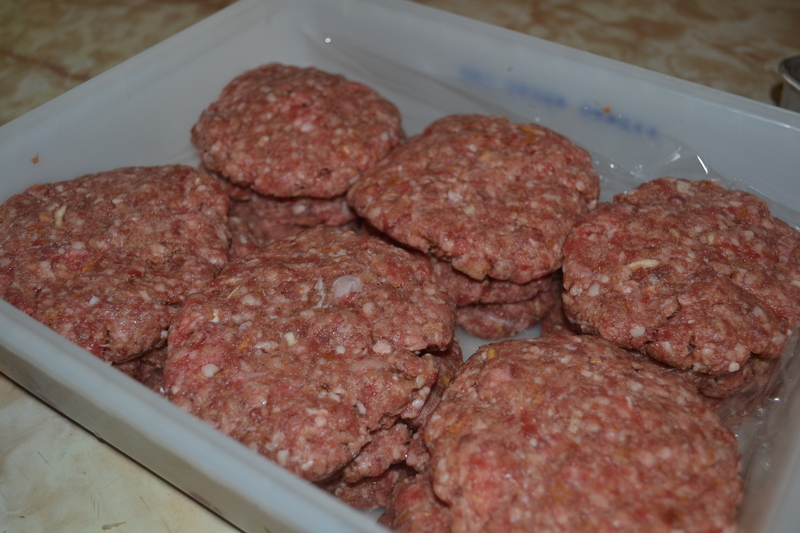 This past weekend my mom and I were busy in the kitchen making hamburger patties, meatballs and barbecued beef for the freezer to stock up for the upcoming harvest. Place beef in roaster and into oven. Cover and bake at 350 F, turning occasionally, until done. Remove from oven. Cool and shred beef with fork. 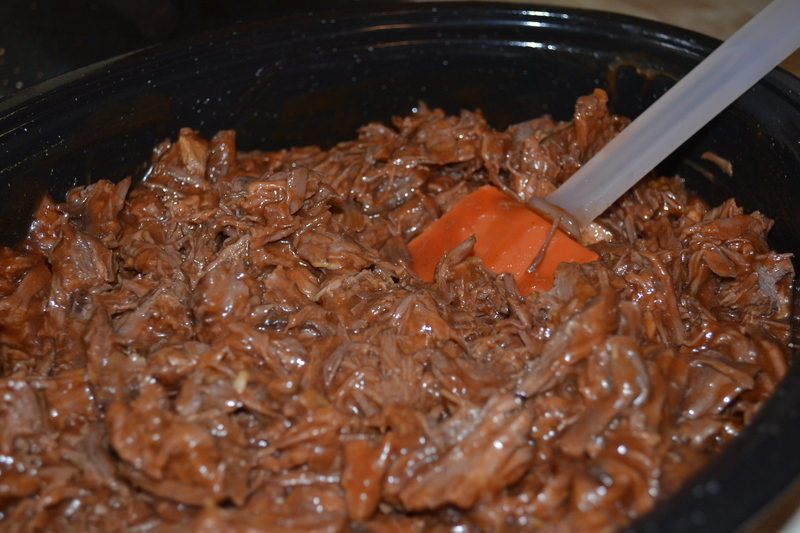 Place shredded beef in slow cooker. Combine all ingredients and pour over beef. Let simmer in slow cooker for a while to heat and blend flavors. Serve on buns. Enjoy. 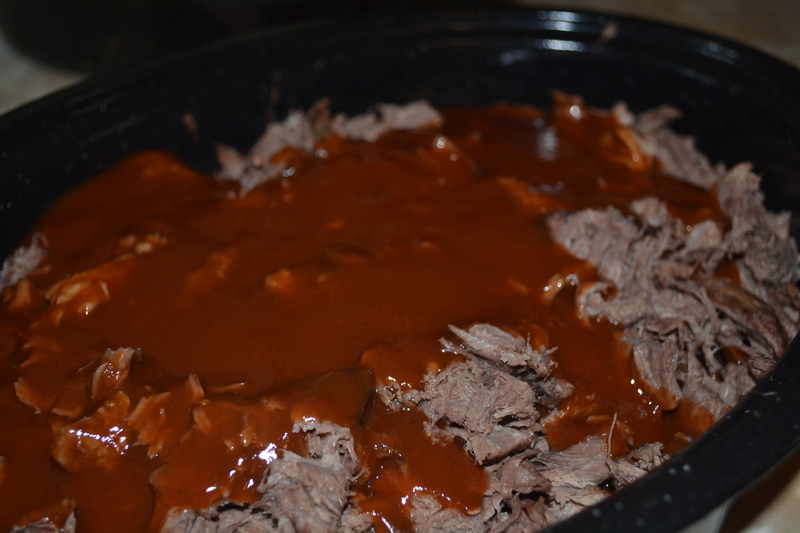 The shredded beef with the sauce poured over it. 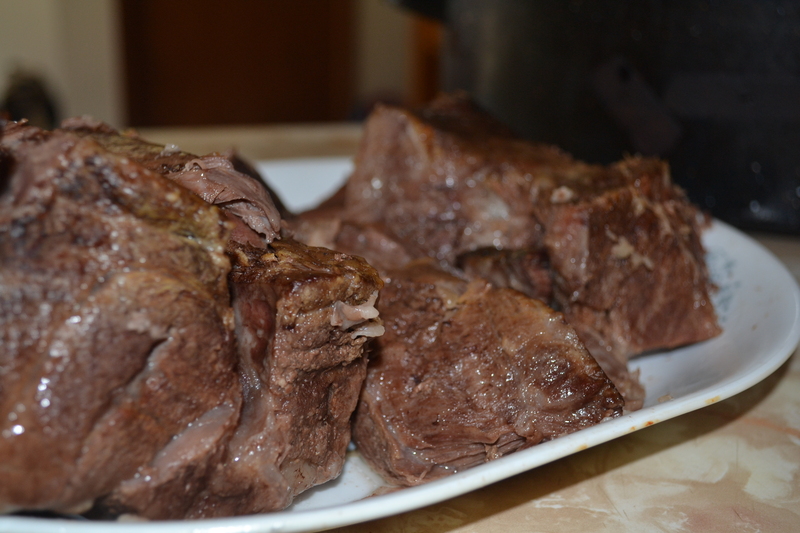 Barbecued beef. Serve on buns. (We used five pounds of hamburger, 2 cups bread crumbs, 5 eggs and 2 packages of onion soup mix). Mix together and form into patties or meatballs. 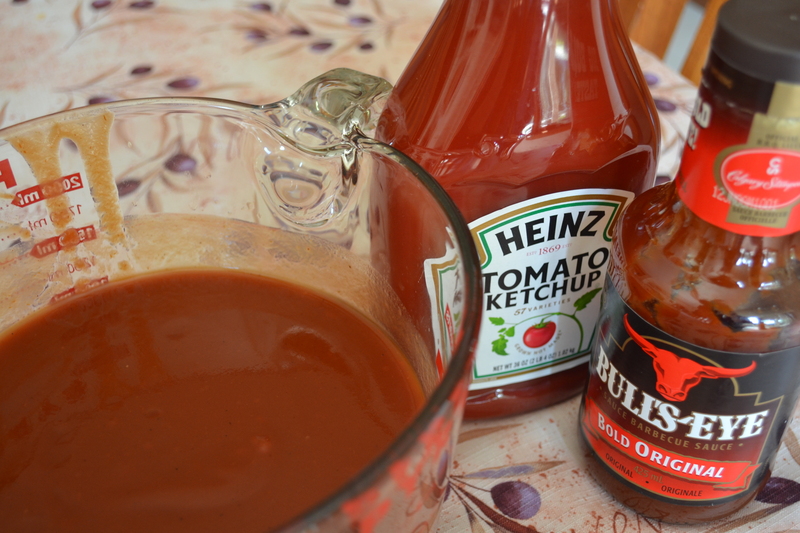 For the Swedish Meatballs sauce: Mix 3/4 cup water, 1/2 cup vinegar and 1 1/4 cups brown sugar. 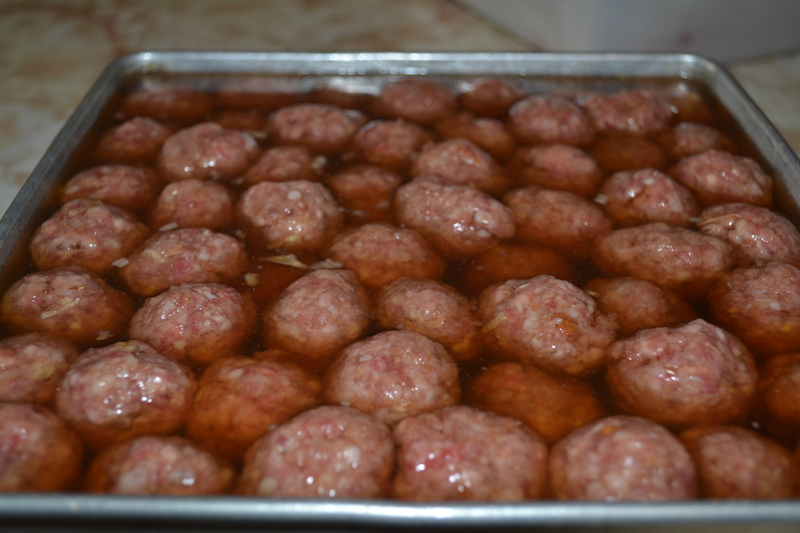 Pour the sauce over the raw meatballs. Bake in casserole dish or pan at 350 F for 1 to 1 1/2 hours. Eat immediately or cool and freeze. Baking these meatballs in the sauce gives them good flavor. 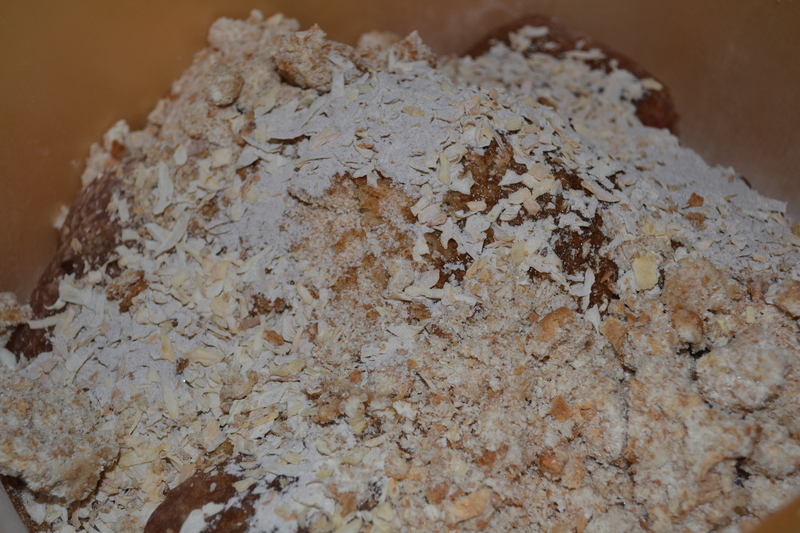 Mix together hamburger, bread crumbs, eggs and onion soup mix. Hamburger patties for the freezer. What are some of your favorite recipes using meat? Please share by commenting below or sending me an email. Oh wow, that just looks amazing. Seriously amazing. That’s a great idea to prepare pre-made hamburgers! My mom always has homemade burgers in the freezer ready for the barbecue. It’s a quick meal when things get busy on the farm. Thanks for reading and commenting!